The Footballer Robbed Of His Dream But Not His Will - What Is Stoicism? For most professional athletes, turning pro is the realisation of a dream. Years of dedication and sacrifice are rewarded when pen hits paper to sign that first contract. For Fabio Quagliarella, however, becoming a professional footballer for Torino in 1999 was only part one of the dream. Part two was to play for his hometown club. Having established himself as one of the top players in Italy’s Serie A, Quagliarella completed his dream when Napoli paid €18 million to bring him home in June 2009. Back with his friends and family, and already being worshipped by the famously passionate Napoli fans before he’d even kicked a ball, it seemed that conditions were perfect for the forward to lead the team for years to come. But just a year later his dream was in ruins as he departed the club as a hate figure for his once-adoring fans. Those fans saw his transfer to rivals Juventus as the ultimate betrayal, accusing Quagliarella of being a mercenary and turning his back on them. What they didn’t know, what no one knew at the time, was much more disturbing. While back in Napoli, Quagliarella and his family were being harassed by a stalker. They received barrages of letters and text messages threatening to out the city’s golden boy for his involvement in various nefarious activities, none of which was true. On the advice of a friend who worked for the Italian postal police, and who took the case on personally, they told no one of the ordeal to ensure the investigation wouldn’t be jeopardised. As time went on, the abuse became more severe and regularly included death threats. 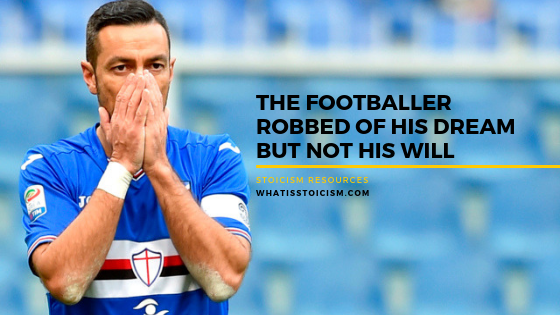 Quagliarella’s reputation was slowly being ruined, his safety and his dream career were being threatened, and he was powerless. After he joined Juventus in August 2010, Quagliarella and his family were vilified in Napoli to the point where they couldn’t go out in public without being verbally abused. It later transpired that the stalker had been known to the footballer all along – it was the friend who worked for the postal police. The man who assured Quagliarella he was taking care of everything. Detectives raided his property in November 2010, but it wasn’t until February 2017 that Raffaele Piccolo was sentenced to four years and eight months in prison for slander and stalking. And it wasn’t until then that Quagliarella could finally go public about his ordeal. After years of taking abuse from his own people and being unable to set the record straight due to the danger of jeopardising the legal case, the usually quiet footballer decided to open up in order to help others. 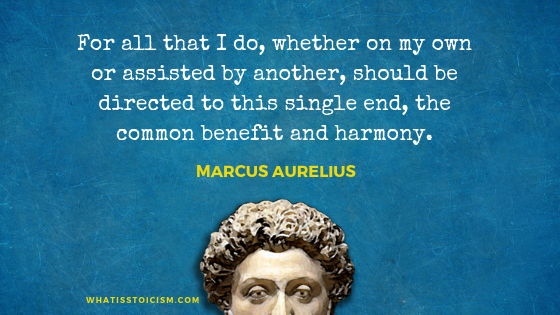 Again the Stoics, specifically Marcus Aurelius per the following quotes, would approve given their belief in duty to society. Even after such a disturbing time, after losing opportunities he will never regain, Quagliarella still doesn’t take it personally. The perpetrator had the problem, not him. “It is a question that people always ask me: ‘What did Raffaele want from you?’ This is what we concluded: It was his way, with his mental illness, he wanted to make the people he was stalking need him. Then he would make himself available to them, to feel important. On finding out the truth about Quagliarella’s move to Juventus, the Napoli fans promptly asked him to forgive them for outcasting him. At 35 years old and still scoring amazing goals for Sampdoria in Serie A, perhaps he’ll get one last shot to live his dream again should he wish to go back home. Quotes from Fabio Quagliarella are taken from the detailed Bleacher Report account of his story, which is a great read.